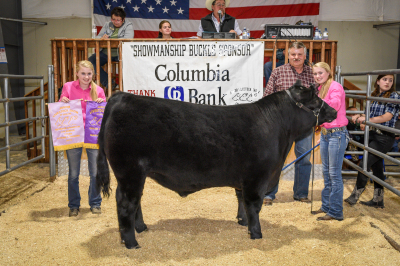 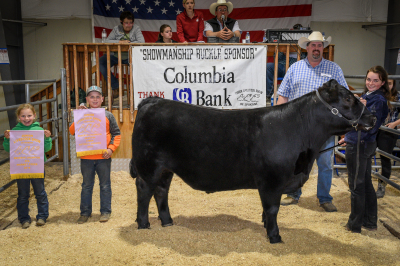 1315 lb steer sold for $5.00 per lb to Pierson Farms. 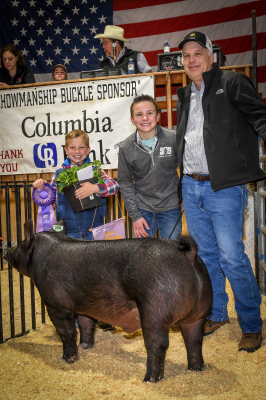 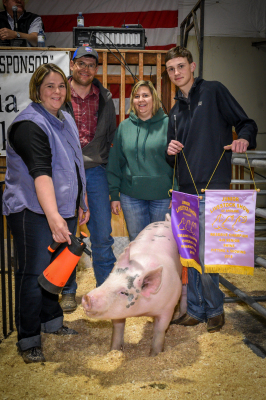 Myles Lee, Banyard 4-H, 268 lb hog sold to Pape Machinery for $2.75 per lb. 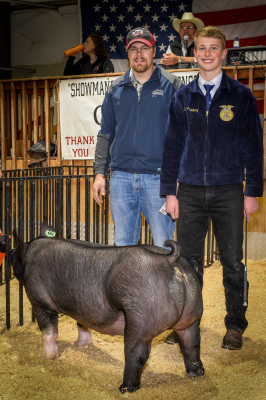 270 lb hog sold for $3.00 per lb to Les Schwab Tire. 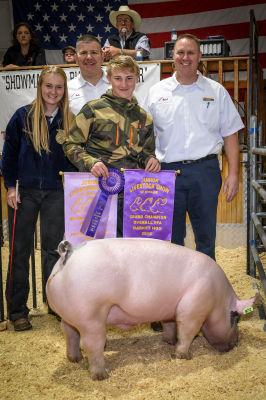 281 lb hog sold for $3.50 per lb tp Wagner Show Pigs and Crop Production Services. 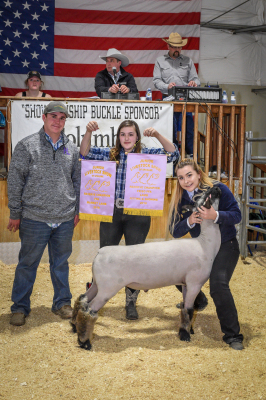 141 lb lamb sold for $3.50 per lb to Financial Strategies. 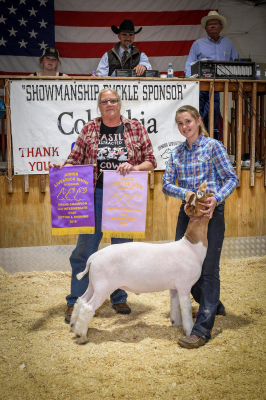 96 lb goat sold for $4.00 per lb to Scott & Paula Nelson and Nelson Bros Trucking. 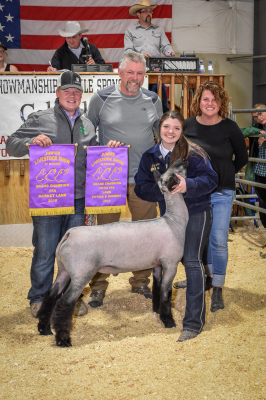 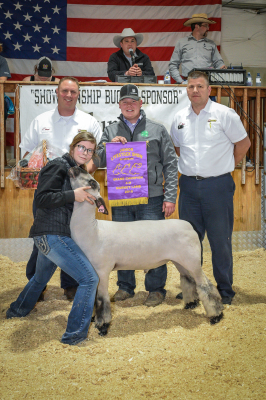 136 lb lamb sold for $3.50 per lb to Hanson Livestock. 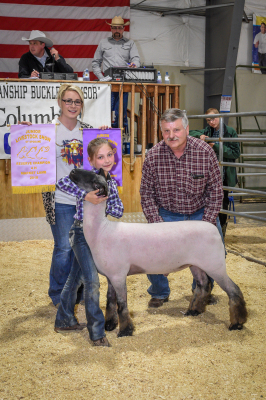 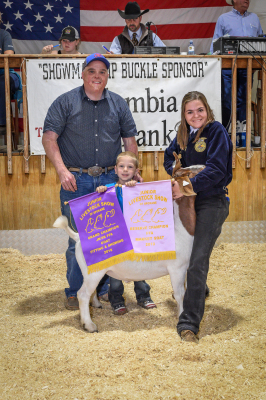 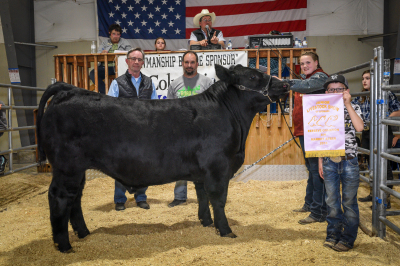 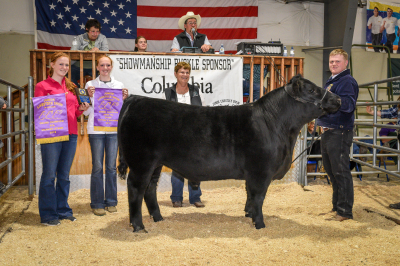 Ali Hennigar, Colton FFA, 110 lb goat sold to Colton Union Town Livestock for $12.00 per lb.